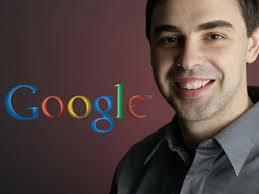 Larry (Lawrence) Page, born on the 26th March 1973 in Michigan, is the current CEO of Google Incorporation. He received Bachelor of Science in Computer Engineering from Michigan University and Master of Science in Computer Science from Stanford University. That explains why his earlier hires were graduates from these two universities. In 1998, together with Sergey Brin, they founded Google. Google gradually became more popular over the years, and is now the No. 1 search engine worldwide. It is credited to be the best company to work for, and has about 46000 employees. It must be a tiring and difficult job to be the CEO for such a large company!